Day #2 of the Mystery Software Week is here. If you haven’t been in the loop, each day this week, we’re revealing never-before-seen screenshots from one of our FIVE new pieces of upcoming software. All of it is game dev software, and it’s been in active development for two years! If you missed yesterday’s sneak peek you can check it out here: Mystery #1. We’re keeping the full details under wraps until our special Buildbox event, which is coming soon. But for now, what’s your guess? Tiana Crump is the social media manager and staff writer for Buildbox. She's an avid game enthusiast with 5 years professional writing experience primarily focused in online, social and mobile gaming. this is not a single thing . you can create particle, bttons, shapes directly from buildbox. and directly edit their colors and shapes. maybe i am right. but we need it. My guess is a particle creator/ controller. Does it play well with Adobe Illustrator Ai? This is clearly interface-making software. I think Something like a new version of Iconbox with more features. My daughter is 10 years old and loves to play games, I believe it’s time for her to create her own games. Time to seriously look into BuildBox. I have a 10 year old as well. The kids love Buildbox. Hoping to have a free verison in 2018 that would be perfect to learn on like this. Won’t have all the features, but good learning tool for sure. Actually, for game training, start up companies and folks who aren’t sure if they can complete a game, something beyond a monthly subscription would be a free model without export capability . Where they can save the project and then pay for an export license when game is completed. I mean your model is great already, just thinking about the folks who might be scared to take that leap of faith. Thanks Trey. Will the software be released as a suite with the other three new titles on a separate subscription? Does anyone know when these will all be fully revealed? When is this buildbox event happening? Once upon a time, Buildbox was possibly going to be called Game Buildr (back when it was still cool to drop vowels from end of names). Glad we didn’t do that… didn’t age well! Interesting guess… definitely something that has been talked about a lot internally. Screenshot looks nice but am worried about the bugs waiting to be unleashed. Looks like update to old Iconbox…..
Ahhh… dusting off the old software. I don’t know what it is, but I need it! 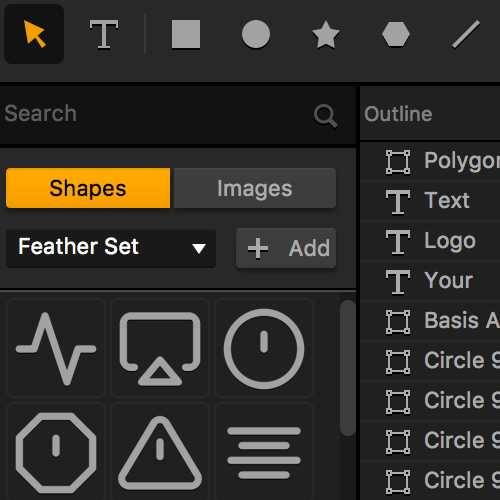 Looks like an icon maker or a simple character builder. Looks interesting. Hmmm….my guess is its some kind of illuminati secret conspiracy thingy. How close am I? Looks to me like UI Design creation software?? Will these five software titles be included in the Buildbox subscription? They will have to be otherwise what’s the point in talking about them. If the 5 new items are adding at additional cost, guess buildbox be visiting Davy Jones locker. Soooo… r u adding shapes? 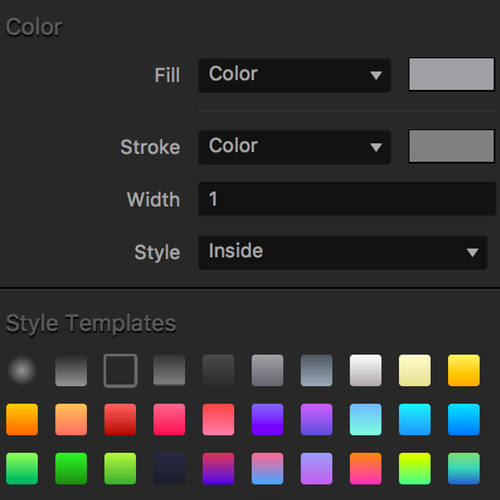 I think with the new option we can adjust the colors manually. Looks an extended image or asset library where assets can be created, edited and animated then saved to be used over again and again with the addition of a search bar to quickly find them. Also looks like it has the ability to group assets. If so that would be super nice. That’s awesome! Looks to me to be a fully fledged UI builder with prebuilt buttons and elements that can be customized fully though a patented super easy buildbox software! Good guess, thanks Ivin :) you rock! hey guys i have a problem .. i will export file buildbox to APK from android studio but come message when i generate singning up apk,, the message like this in android studio form : Libpng warning: iCCP: known incorrect sRGB profile. Hi Hafis, please email our support team at support@buildbox.com they’ll help you with that. Ready theme for mobile games : ) Backgrounds and icons. All in one game design software. Cool! Interesting guess, if it is … that definitely would be 😎! 😄 LoL, what else could it be? I was sitting with my phone since 8am gmt in the wait that i will be the first to see it and now i am. Yay! First comment and first view as a customer! And this site would be a shape animator. May i know when we would be able to purchase them? First comment, Piyush … NICE! :) We’ll reveal more details soon! That is awesome! Will be available in about a week. hhhhmmmm…. looks interesting – must be another Awesome software from BuildBox…. really need it. Buildbox Spring Sale – New Special Offer! Buildbox is the world's first software that truly allows anyone to create amazing games regardless of technical skill. Due to its unique user interface, making games becomes a fluid process that doesn't require any scripting, programming or software design experience.